Firstly, you’ll need some space to work. 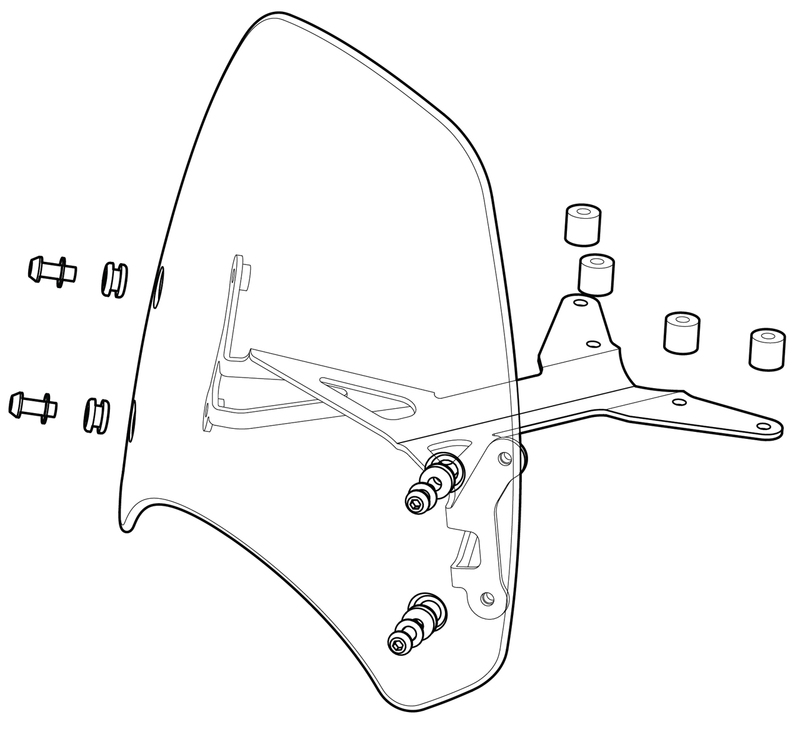 Remove the two Torx T30 screws which secure the headlight assembly to the bottom yoke, and remove the headlight. We rest it on the mudguard, using a cloth for protection. Remove the four T25 screws which hold the plastic instrument bracket to the top yoke. Now for the difficult part: place one of the bushes on one of the centre holes of the flyscreen bracket and use an M5 x 30mm screw to keep it position. Hold this assembly underneath the instrument bracket, and fit the screw into the corresponding hole in the top yoke. Just a few turns will be sufficient to hold it in place. Now fit the other three bushes and screws. Gradually tighten them fully with a 3mm Allen key. That’s the difficult part done. Now refit the headlight. Insert the grommets in the holes in the screen. This is best achieved from the back of the screen. Hold the screen blade in position and loosely fit the bottom two hexagon head machine screws with their washers, ensuring that they engage in the captive nuts on the brackets. Do not tighten these yet.